Having structured seasons and changeover days allows for you or your housekeeper to tackle the changeover days with precision, having multiple changeovers may encourage you to cut corners which will in turn give your guests a bad experience. When first starting out on your self catering property venture you may think its a really good idea to offer your guests nightly stays or breaks that start on a Tuesday and finish on a Thursday but in the long run it can have a negative effect on your self catering business. 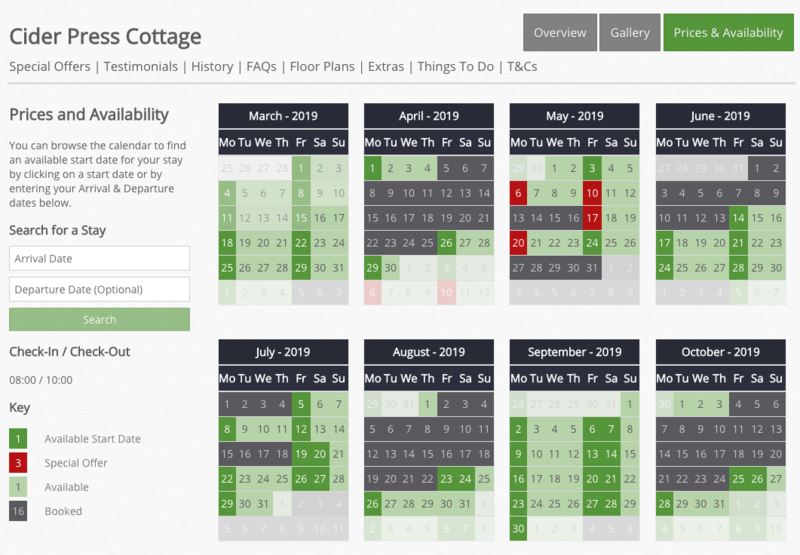 Offering these stays to guests will create available days in your calendar that will be almost impossible to fill as people who tend to book a self catering holiday in the UK are looking to rent the property for a longer period of time. Having stricter changeover days will remove any odd available days in your calendar. You may think that offering shorter days will encourage more guests to come and stay with you but this requires a lot of dedication and effort on your end, it will require more admin time, marketing and the additional headache of the cleaning / turnaround time which will lead to an increase in outgoings. Having a high turnover of guests can also have an effect on the properties maintenance and the level of wear and tear is likely to increase. Having changeover days on any day of the week will also increase your cleaning costs, if you currently outsource this, hiring a housekeeper on a Saturday will be more expensive than during the week, likewise if you’re doing the changeover yourself you’re compromising your down time on a weekend. We love to see people making a success of their business through using SCRUMPY and are always here to offer guidance and support in helping you to do so. Please don’t hesitate to contact us if you have any questions or need any advice on your self catering business.